Since 1996, the Hong Kong harmonica community has promoted, organized, led delegation, performed, judged, competed and talked in the biennially held Asia Pacific Harmonica Festival (APHF). With the latest one in Aug 2016 in Taiwan being the 11th, this is good to celebrate such with a concert. 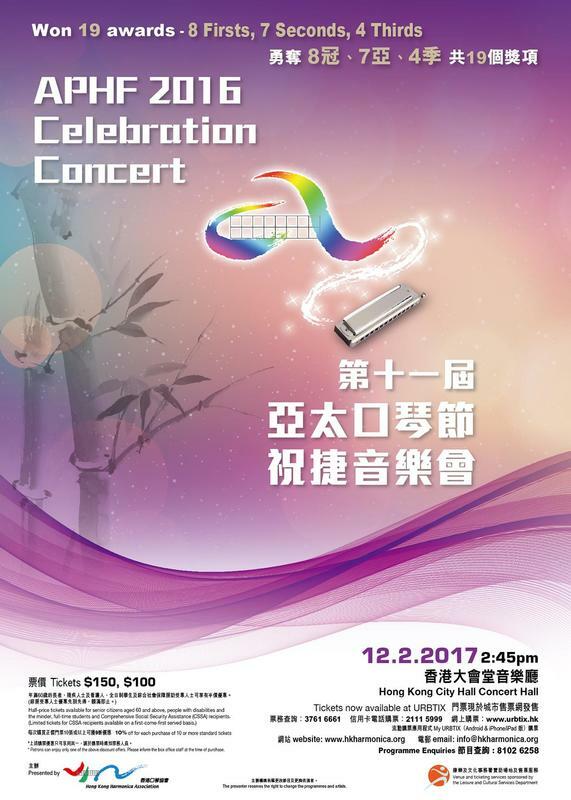 On 12 Feb 2017, Hong Kong Harmonica Association is presenting selected winners of the 11th APHF in Concert Hall, Hong Kong City Hall together with the invited guests. 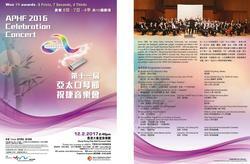 Programme covers light to serious classics, original to arranged harmonica music, solo, group to orchestral works. You are cordially invited to join the "APHF 2016 Celebration Concert".